It doesn’t matter if you’re a big FMCG brand, a small eCommerce business, or a local restaurant. Being actively present on different social media channels and leveraging the major trends is absolutely crucial for your existence. If you learn how to use different platforms for your advantage, social media will not only be a great way to engage with your existing clients, but also an established channel for customer acquisition and remarketing. In short, these platforms will give you the world. As it’s almost impossible to keep track of all the changes, I’ve taken the time to analyze today’s social media landscape and identify the crucial trends for 2019. I’ve put my key findings in this article. Enjoy. The connection between brands and consumers is closer than ever before. Why? Because customers don’t want a casual on-again-off-again thing anymore. They want a real relationship. They want commitment and attention; carefully tailored products and personalized content, that resonates with them. They want brands to be there for them, 24/7. They want you to listen. You think it’s an exaggeration? Just take look at data. The Sprout Social Index discovered that 1 in 3 consumers would mention a brand while sharing personal accomplishment on social media. What does it mean? Well, nowadays, a millennial sitting in a restaurant and enjoying his Sunday brunch won’t only tag a friend and take a picture of his food for Instagram. He will also tag the restaurant he’s in. He’ll talk about the experience, express his gratitude, lavish praise or burn you to the ground. This kind of brand involvement is particularly strong among younger audiences. In fact, Sprout Social data showed that 41% of millennials would include a brand on a life milestone just to say “thanks”. We were always wired to share the significant (and not so significant) events from our lives with our friends and family. What has changed is the way we do it. A big part of our lives has moved to Social Media platforms. The results of this shift for brands can be seen in a huge customer demand for attention. But as you grow, and your customer base grows with you, managing hundreds or thousands of similar customer requests becomes really hard. That’s where the marketing automation comes in. Chatbots and marketing automation tools enable businesses to engage, convert and delight their customers on a large scale. They allow brands to effectively handle various customer queries, without the relative increase in costs. Well-designed chatbots offer the illusion of constant contact with your customers, anytime, anywhere. On Facebook Messenger alone, there are more than 100,000 chatbots in use that gather information, give product guidance and take actual orders. They offer direct replies to customers who comment on a Facebook post or send product descriptions and follow-up emails to prospects. Bots can be particularly helpful in crisis management. According to data, 60% of consumers that post a complaint on social media expect a response in less than 60 minutes (Social Media Today). This means that you’ve got only one hour to notice and respond. And if you don’t, 88% of them are unlikely to buy from you again or recommend you to friends and family. But that’s not the only use for Chatbots. Beside constant customer support and customer involvement, chatbots are a great tool for data collection. With chatbots successfully implemented throughout your landing pages and social media platforms, you can collect an enormous amount of relevant data about your audience. With this data, you can better understand what’s working, what’s not, and how that impacts your strategy as a whole. You can incorporate the phrases and keywords used by your customers into your marketing campaigns to improve engagement and CTR rates. You can review chatbot interactions to make sure that the new product features are clear and useful for your clients. So, collect data, use it, but make sure you are doing it right because privacy concerns are at the forefront of social media users’ mind these days. As the world is getting more social online and the number of large-scale hacks and data breaches is growing still, people are fierce to protect what little privacy. To build and maintain consumer trust you need to both put in place proactive data security and privacy measures, and engage in a transparent, ongoing dialogue with consumers on data privacy. Make sure your users are clearly informed about what kind of data you acquire from them and how they can permanently delete or easily transfer their records to other entities. As the “free exposure” social media window has closed and the organic reach is declining with no promising signs of picking back up, we know it’s time to pay. 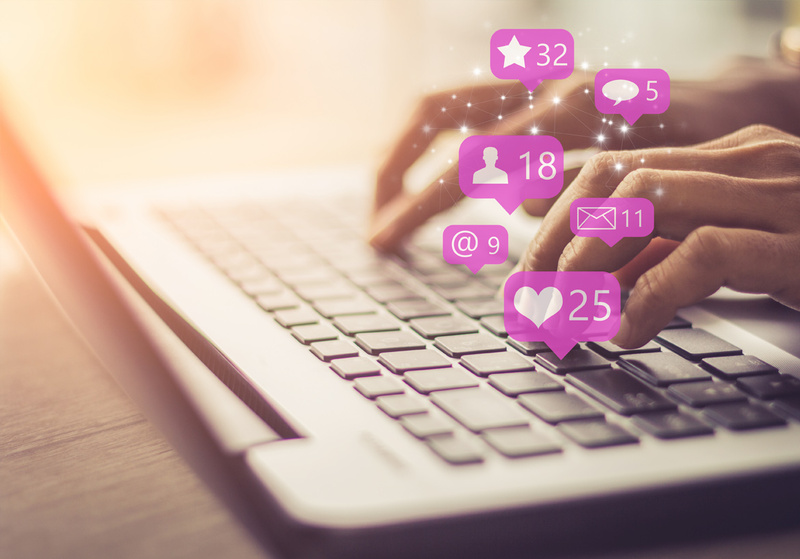 The News Feed is increasingly competitive and new algorithms make it even harder to get discovered if you don’t have an existing relationship with the audience. To gain visibility you need truly great content and some serious boosting. One of the good things about paid social is that you can specifically choose who will see your content. You can have the best campaign in the world but without the right targeting, it won’t bring you the expected profits. With the use of more sophisticated tools in Ads manager, there’s plenty of factors you can base your campaigns on such as interests, skills, titles or even lists from your CRM. As successful paid strategies are all about delivering the right content, to the right people, at the right time, make sure you use the most engaging formats. Long gone are the days when social media presence was based on status updates, photos here and there. Now, we want the real social media experience. As online communication has become more personal, creating and uploading video content in multiple formats on a regular basis is what you need to be doing. What you should remember is that your videos need be tailored to the platform, audience and the campaign. There are already too many brands who share two-minute long videos about nothing, hoping they will engage users. Bummer. If you want to catch your user’s eye and keep his interest, make sure your video has all the right features for a chosen platform. Keep an eye on details. Include subtitles, adjust the length, add titles, and provide high-quality sound. After all, you are putting a lot of information into only a few seconds. Make them count. The format which deserves your special attention is live video. Online streaming is huge and their popularity is bound to increase. At this point, you can do a live video on all the major social networks: Facebook, Twitter, and Instagram. Instagram Stories dominate most social media summaries for 2018 and it shouldn’t be surprising. In a year, Stories doubled the number of daily active users from 200 million in April 2017 to 400 million in June this year (Statista). In fact, the average time spent on Instagram per day grew to 28 minutes since the launch of Stories. As Instagram attracts such an active and big audience, businesses must follow. There are already more than 1 million advertisers actively using Stories each month. Data shows that for one out of five organic Instagram Stories brings at least one direct message from a consumer. It’s a huge pool of potential, especially that the push for “ephemeral” content is expected to grow. Probably one of the most engaging parts of Stories are the AR-based features. Face filters have grown in popularity over the years, but with Instagram’s push toward Stories, you should only expect to see more. Moreover, it is expected that Snapchat and Instagram will soon support filters that allow users to take a selfie with a friend or celebrity projected via augmented reality. We have only just begun to scratch the surface of what will be possible with the use of the new technologies such as AR or VR in digital marketing. Without a doubt, there will be many more ways to work and entertain. For more, check out my article on the top 7 digital marketing trends to watch in 2019 here. It’s 2018, so businesses know they need to be present on social media. But as the digital landscape is relentlessly changing, the rules we all play today won’t remain the same forever. The key to success is flexibility. Your digital strategy should be able to adapt to the constantly changing social media trends and come out even stronger in the end. Plan your social media presence with the right tools, up-to-date insights, and the right mindset. This will help you cut through the clutter and ensure that your content will drive high-value actions. This is very informative about the importance of social media in business and how to make social media presence.